What Ingredients To Look Out For When Selecting the Best Shaving Cream For You? After several hours of research, intense scrutiny on shave performance, lathering ability, scent, and ultimate results, we found that the Billy Jealousy Super-Slick Shave Cream was the best shave cream currently available on the market. 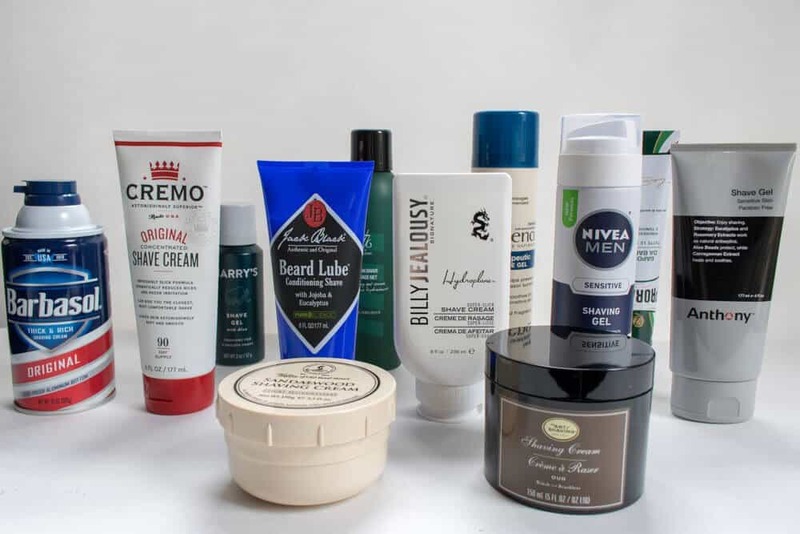 However, these weren’t all the shave creams that we tested, in fact, there are several more immediately following this section where you can read about them in great detail. 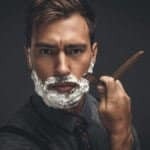 Furthermore, we have at the bottom of this article an in-depth write-up on what exactly makes a shaving cream good, different types of razors commonly used with certain types of shave creams, along with tips on how to generate the perfect lather every time you go to shave. We take our research and review process seriously. 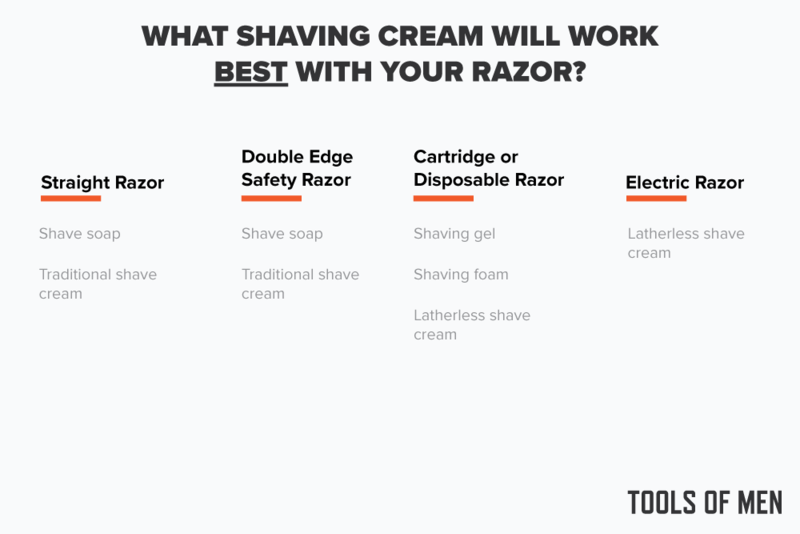 Frequent readers understand this as it was demonstrated in our roundup of the best razors for men, our in-depth review of Huckberry (a growing online men’s clothing retailer), and even when we dissected Harry’s subscription shave service and gave it a mediocre rating. We want to deliver the absolute best information to you. Without your trust, Tools of Men wouldn’t be the site it is today, nor would we have such a passionate subscriber base that relies on our keen insight when researching best men’s products. Therefore, with every one of the reviews listed below you can rest assured that we aren’t secretly being paid by a company to say good things about them. If a product isn’t good, we will tell you. Secondly, unlike many of the other ‘best shaving cream’ articles listed online, we own the products, post actual pictures, and have an actual review process. One of the interesting things about shaving cream is its variety. For the purposes of this article, we excluded the traditional shave soap from our review. We found that the shave soap, while great, is largely targeted to a niche audience of men who prefer to shave through more traditional means including the shavette, straight razor, and double edge safety razor. However, if you are interested in learning more about the traditional shave soap, we invite you to read our in-depth guide to the best shave soaps. Based on our research, not one particular shaving cream variety was superior to another. Choosing one variety over another will largely be due to your own personal preference above all else. Gel often (but not always), will include some sort of alcohol within the container. Depending on the structure of this alcohol (simple or fatty), will dictate if it’s good for your skin. In nearly all cases you will always want to avoid gels with simple alcohols (ex: isopropyl, methyl alcohol, etc.) as they will not only cause mild irritation should any cuts occur while shaving, but will dry out your skin leaving you with mildly-ashy cheeks. Alcohol aside, when whipping up a lather from a gel you have very little control over the final result. While this will lead to consistent results, this may be consistently ‘good’ or consistently ‘poor’ (or somewhere in between). Lastly, as seen in the Anthony Shave Gel, not every shave gel will be canned. This can be great for travel to even general shower use. Shaving creams like the Cremo, Billy Jealousy, and Jack Black are non-foaming creams that concentrate on delivering a super slick surface for the razor to glide upon. 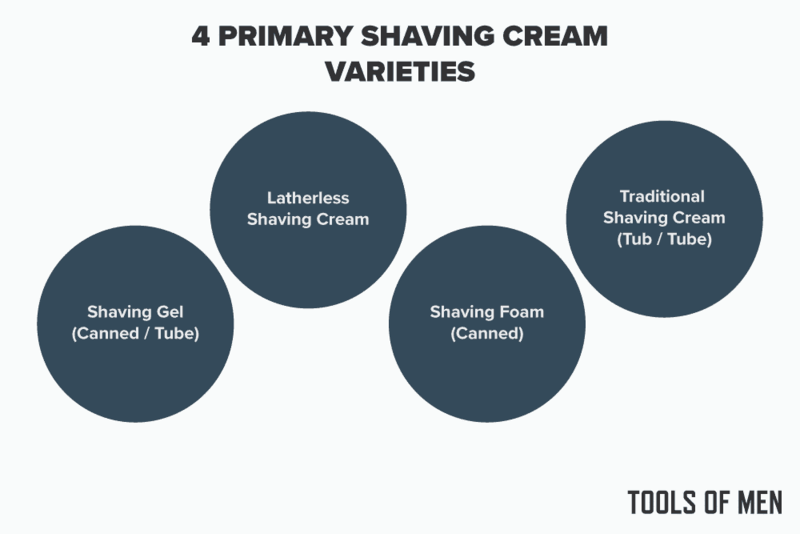 Latherless shave creams are considered to be a much more modern option compared to some of the traditional creams like Proraso or Taylor of Old Bond Street and will typically (although not always) have ingredient profiles that skew a bit more natural. This is why during our review we found that the Jack Black Beard Lube was among the best natural shaving creams due to the fact that it heavily relies on ingredients such as jojoba seed oil, peppermint oil, and other natural and organic ingredients. Shaving foam has been around for over a century with brands like Barbasol leading the way. Nearly always in a canned form, the propellant (most likely isobutene or propane) within the can will push out a rich and luxurious aerated lather that will help to get your skin supple for shaving. 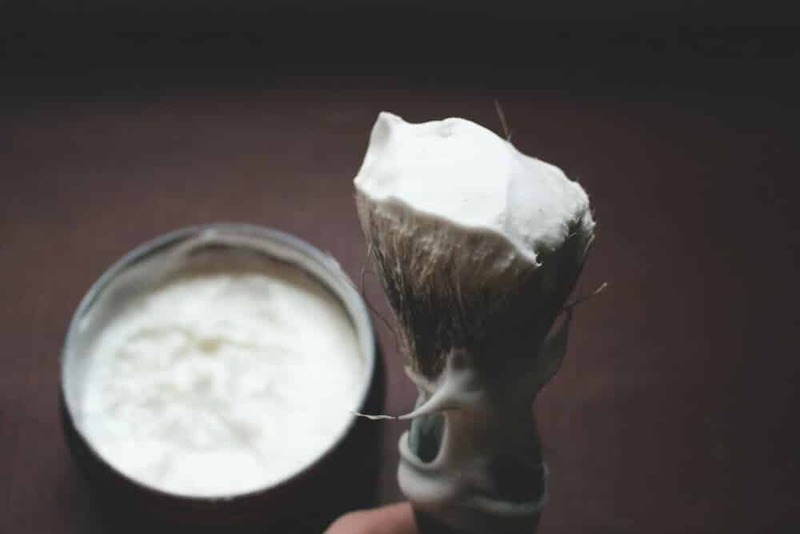 While not delivering nearly as much control in the consistency when compared to traditional shaving creams (covered next section), they still can be a great option when it comes to shaving creams. Highly sought after by men who prefer to use safety or straight razors (learn about their differences here), traditional shaving creams give you full and complete control over the lather. It’s not uncommon to find shaving creams in this category that have been around for more than 150 years (see Taylor of Old Bond Street). Their creams are consistently reliable, low cost, and create amazing results when done right. The main sticking point to traditional shaving creams is their heavy reliance on additional accessories including a shave brush and mug/scuttle. Men who prefer cartridge razors may steer away from this particular shaving cream due to the extra time and work required. 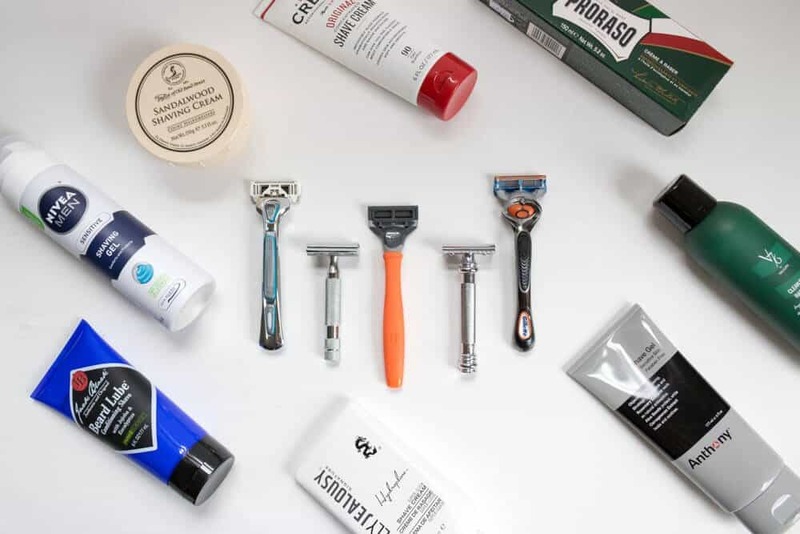 When it comes to razors selection, men really have no shortage in options. 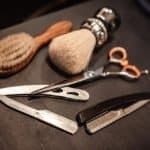 From the 5 different types of razors you have at your disposal (straight razor, double edge safety razor, cartridge razor, disposable razor, or electric razor), you may want to pick one shaving cream over another. For men using a cartridge or disposable razor, the biggest issue that you will have to deal with will be clogging. Therefore, you may want to steer clear of some of the thicker creams on our list. 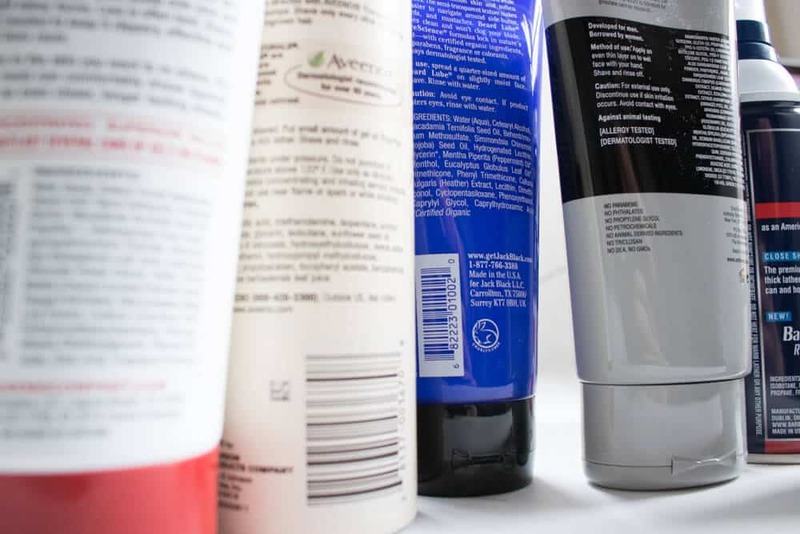 Instead you will want to go with gels, foams, or better yet, latherless shaving creams. However, if you are using a safety razors, some of the more traditional (and thicker) creams like Taylor of Old Bond Street or The Art of Shaving will be better for your blade. Not only will these traditional creams provide a well-insulated layer on your skin, but will ensure that your skin bends to the safety razor blade in order to ensure a smooth and close shave. For the straight razor wielding men out there you are likely better off going with a shaving soap as you have more control over the lubricating properties of the shave cream and can strike that delicate balance. Of course, traditional shave cream can work just fine, but in most cases, men using straight razors like the results of shave soaps more despite their lengthy setup process. Lastly, the electric razor. For men who shave daily with an electric razor, your best bet is to go with a much thinner shaving cream. In particular, the latherless options by Jack Black or Cremo will be great picks. The thinner consistency of these shave creams will ensure optimal performance from either your rotary or foil electric razor. 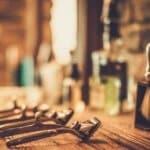 When it comes to shave creams there are a few different techniques and application methods that you should be aware of. The most optimal way to apply shave cream will be the use of a badger hair shaving brush. Badger hair brushes do an effective job at lifting your hairs up on edge, whereas if you used your hands directly to apply the shaving cream it may leave many hairs matted against your skin. In addition to lifting your hairs, badger hair brushes also provide a gentle pre-exfoliation of your skin. A pre-exfoliation of your skin will help loosen up any dirt and oil that is coating your skin prior to shaving which otherwise may lead to general skin irritation once you are done. When using a shave brush, it’s always important to let it rest in warm water for a few minutes prior to having the shave cream loaded into the brush. This will allow the badger hairs to retain more moisture and to ultimately assist in creating a lather that is a bit more richer and slicker. When it comes to shaving creams, it’s all about moisture and heat retention. Fill up your scuttle/mug with hot water and place badger brush inside for a few minutes (ceramic bowl or old coffee mug retain heat better than glass). Hop in the shower or apply a hot towel to face in order to soften hairs. Pour out the water from your bowl (but don’t dry it) and then gently give your shave brush a light squeeze to get out any excess water (shaking the brush may lead to a loose knot). Place an almond-sized amount of shave cream within the shave brush. Once loaded, begin forming a lather in the scuttle or mug by vigorously stirring the shaving brush for about 45 seconds. The goal here is to create a lather that has really small bubbles (i.e. to the point where you don’t see individual bubbles) and that has a few nice peaks. When you formed an acceptable lather, liberally apply to your face and begin shaving. Note, you can apply a loaded shave brush directly to your face, however the results won’t nearly be as good as mixing in a separate mug or scuttle. Either apply a hot towel or take a shower for several minutes to allow hairs to soften. Prior to application of shaving cream, apply hot water to your face to help activate the lather properties of the cream. Apply about an almond sized amount of shaving cream to the tip of your hand and then begin to massage into your face. To help generate a lather we recommended going in circular motions repeatedly with your hands and sprinkling on hot water when necessary. While you won’t generate much of a lather through this method, it will help provide some lubrication for the blade to make a bit gentler of passes that will ultimately help increase comfort. Begin the shaving process and repeat if necessary. Considering that shave creams can range between $5 to $25 a bottle, there really is quite a bit that goes in to manufacturing one. As evident on the backside of any shave cream you are instantly hit with a list of ingredients that will leave you with more questions than answers. Truth be told, ingredient lists for even shave creams dubbed as ‘natural’ can still contain ‘suspect’ ingredients. While we don’t want to go beyond the scope of the article and list out every ingredient and state what each one of them does, we do want to guide you through some key factors to look out for. When going to your local drugstore or grocery store, many of the shave creams available will be those that are mass produced by conglomerate companies like Unilever or Proctor & Gamble. When making their shave creams they more often than not use parabens. 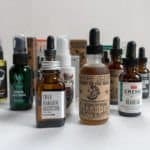 Many men and women who advocate the use of natural products often use parabens as the poster child for harmful chemicals that are linked to cancer. However, based on our research, this concern is largely misplaced. As you can see in the official stance from the FDA that oversees the beauty and cosmetic industry, they have stated that parabens have no effect on human health. So, what are parbens used for in shave cream? When large companies make a batch of shave cream, they may make a few million units at a time and then ship them throughout the world. Without the use of parabens within the shave cream, there could be a chance that bacteria may grow within the shave cream itself, ultimately producing undesired results. Therefore, parabens are a critical ingredient for large brands to ensure product safety. Jojoba Oil (and other carrier oils) – Becoming more prevalent in mass distributed shave creams and can be found in smaller batch products like Cremo and Jack Black’s Beard Lube, carrier oils are terrific all natural oils that closely mimic the sebum oil your sebaceous glands produce on a daily basis. If you tend to have dry skin or find that your cheeks have a tendency to become ashy a few hours after you shave, then a shave cream rich in natural moisturizers will not only help to make your skin look much better and more vibrant, but it will also make your skin feel quite a bit softer as well. Furthermore, carrier oils are relatively mild and will help to make a shaving cream slick ensure a close and comfortable shave. Fragrance – While this ingredient is found in nearly all skin care products including many of the shaving creams we reviewed, we simply wish it wasn’t. While the term Fragrance on the side of a shaving cream tube may sound harmless, it’s not. Fragrance is an umbrella term for up to 3,100 different chemicals. For men looking for the perfect shave cream, it really doesn’t get much better than this one from Billy Jealousy. Known for their award-winning products, Billy Jealousy is quickly setting the gold standard across the men’s grooming world by making stellar beard oils, face cleansers, face moisturizers and more. After profusely testing their Hydroplane Super Slick Shave Cream, it was undoubtedly one of the best shave creams we ever tested. Not only did it provide an incredibly close and comfortable shave, but its excellently balanced ingredient profile will allow for great looking skin once you are done shaving as well. While the latherless nature will undoubtedly be a barrier for some men coming from more traditional shave cream backgrounds, after one use you will see why this cream will be your new favorite going forward. The latherless cream will not only make the shave process much cleaner, but it will allow you to easily navigate the contours of your face without the problem of having shave cream build up on your razor head or handle. Just like their beard oil we recently reviewed, the scent is again top-notch. Delivering a subtle orange scent (due to the inclusion of natural orange peel oil), you will feel invigorated when applying this to your face in the morning. It’s one of those rare products that you will actually look forward to shaving rather than dreading the process. 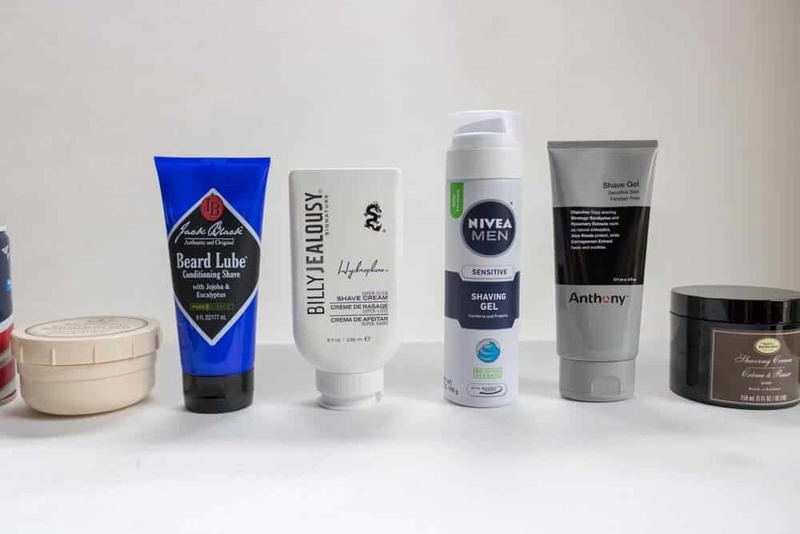 While costing a bit more than more popular brands like Cremo or Nivea Men, Billy Jealousy will be a bit tougher buy for some men who are on a tight budget. However, to quell those fears a bit, rest assured that in the 8oz bottle you will be able to get several months of shaving. But if you are a man that not only wants to look good but values a quality performing shave cream, then you will want to go with this. The results are reliable and your skin will thank you. Where is this shave cream made? USA. Billy Jealousy is based out of Dallas, TX. No. There are some chemically derived ingredients. What razor is this shave cream best suited for? Cartridge and disposable razors. Although the slick lubricating properties will make it great for men who shave with safety razors as well. It’s one of the best shave creams on the market. While we wish the price were a bit lower, you really get the quality you pay for out of this shave cream. Cremo Shave Cream is a renegade compared to the other popular shave creams we reviewed. With its solution designed to not create a thick foamy lather nor require a shaving brush for application, it’s breaking a long-standing tradition that wet shaving enthusiasts have adhered to for several years. Primarily applied to your skin with just your hands, it’s an extraordinarily slick shave cream that helps to provide a comfortable shave that leaves your skin free of irritation and razor bumps. Both the Original and Cooling scents are gender neutral, while the Sandalwood scent is perfect for the men who crave that classic barbershop smell when shaving. Although the bottle of the shaving cream may be a bit smaller in its 6fl oz. packaging, a little will go a long way. If you are accustomed to spraying out an ample amount of canned shaving cream into your hand currently you may have trouble restraining yourself with Cremo. Per Cremo’s advice, about an almond size amount of shaving cream should be more than enough to serve your entire shave. One tube of the shaving cream should last you about 90 shaves (or about 4 months if you shave every business day). 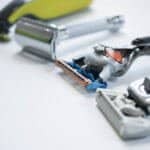 Should you be using a cartridge or disposable razor, this shaving cream shouldn’t cause any clogging issues that would hinder the performance of the blade. Therefore, you can and should use this cream if you are looking to replace a canned razor that you have sitting within the medicine cabinet. With the inclusion of aloe and some key oils contained within the cream, your skin should stay well moisturized long after your morning shave. Men who shave their heads (or entire body) regularly will love this shave cream. Given its moisturizing base, those who shave daily won’t experience any flaking of the skin as you might otherwise experience with shave gels that have nasty drying alcohols. USA. Cremo is based out of Laguna Beach, CA. Can this be shared with a significant other? Yes. Both the ‘Original’ and ‘Cooling’ scents are unisex. It’s an affordable shave cream that can be easily used on any part of your body. The slick formula ensures total comfort and a close shave. Rivals Barbasol to being the work horse shaving cream of the 21st century. If there was one company that sets the standard for being both a luxury grooming and natural leaning product company, 9 times out of 10 men would say Jack Black. Their Beard Lube that we reviewed perfectly carries on the Jack Black legacy. They key ingredients not only help to invigorate your whiskers, but will also deliver a rich splash of moisture and nourishment to your skin after you are done shaving. Given that this is a latherless shave cream, unlike the more traditional gels and creams we reviewed, you will be able to see the areas that you need to shave when making the passes across your face. The latherless solution itself is extremely slick. While you could technically use this with a safety razor given its slick base, we still feel it’s better suited for men who use cartridge or disposable razors. When it comes to natural shaving creams, it really doesn’t get much better than Jack Black. When compared to all the others we researched, we were unable to find a cream that displayed nearly the same level of quality ingredients. Sure, the price of this Beard Lube may be a bit higher than some men’s budget, but the quality you get for the amount paid truly does make this a worthwhile investment. What does this Beard Lube smell like? Very light notes of peppermint. USA. Jack Black is based out of Carrollton, TX. Who would you recommend this shave cream for? Perfect for men who prefer a more natural shave cream. Jack Black sets the gold standard when it comes to high end men’s grooming products. If you want a latherless shave cream that relies on the essentials, it doesn’t get any better than this. Like V76 by Vaughn, Anthony is a relatively new entrant to the men’s grooming world and was founded in 2000 by Anthony Sosnick. Based out of New Brunswick, NJ, Anthony delivers a new take on the shave gel. Fully embracing the ‘gel’ aspects, the thin and clear solution is a non-foaming agent and will give you total visual control over the shave process. Perfect for men who don’t like dealing with large clumps of foam temporarily clogging their sink, this shave gel by Anthony will allow you to see every whisker you missed while shaving. While consistency is one key aspect to this shave gel the other will be the ingredient profile. Much like Jack Black’s Beard Lube, this shave gel by Anthony largely contains natural ingredients that will do more for your skin than just provide a close shave. Flipping over the tube you will find all sorts of good stuff like aloe vera leaf juice, agar, carrageenan extract, orange peel oil, cornmint oil, and so many others. The end result is not only a guaranteed close shave time and time again, but also a well-nourished skin once you are done shaving. Secondly, for the men who are a bit more conscious on their labels, you will find that Anthony’s shave gel is also absent of parabens, phthalates, propylene glycol, petrochemicals, animal derived ingredients, triclosan, DEA, and GMOs. The scent for this shave gel is just as invigorating as Cremo’s. Emitting bright spearmint notes, you will quickly awaken when you put this on in the morning. Who would you recommend this shave gel for? Definitely aimed at the men who prefer natural ingredients or tend to have sensitive skin. The clear consistency of the product is a nice change (and perfect for those who don’t like foaming agents). Can this be a unisex shave cream? Yes. The spearmint scent is gender neutral. Where is this shave gel made? USA. Anthony is based out of New Brunswick, NJ. The fresh and bright tones of Anthony are second to none. Absent of a lot of nasty ingredients yet still delivers great performance. Containing natural colloidal oatmeal, Aveeno’s shave gel is a great solution for the men out there that are looking for consistent results from a big-name manufacturer. The colloidal oatmeal found within this can will help the men who have overly sensitive skin. So, how does the oatmeal help to provide a more comfortable shave? This key ingredient helps to provide additional moisture to the skin. While this might not sound like much, but when you take a cartridge razor across the surface of your skin, it does quite a number to the skin and will dry it out and make it feel quite irritated. But beyond increasing shave comfort, the colloidal oatmeal will also help to ward off dry skin post-shave by making you look a bit more vibrant and youthful. Beyond oatmeal, another great aspect of this shave cream is the absence of fragrance. 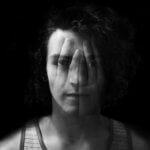 Fragrance has been known to cause quite a bit of discomfort for many men, and the lack of this ingredient is welcomed by those with sensitive skin. But as we covered later in this article, parabens are used as preservatives and isn’t a known carcinogen per the FDA. Is A Shave Brush Required? No. Like most canned creams, you can get great results using your hands. This shave cream comes in gel form. However, unlike most gels, when applied with your hands, it does generate into a rich lather as opposed to a foam. The can itself has a rust-proof design. As evident in our month-long test, there was no rust build up on the edges of the can (edges are smooth and don’t feature any creases or weld points). If you are looking for a great (yet affordable) shave cream designed for sensitive skin, then the Aveeno Therapeutic Shave Gel will provide great results. Perfect for men who are on a tight budget but want non-irritating results. The work horse of shave creams, Barbasol has been around for nearly a century. This USA made shave cream has been (and continues to be) a staple in men’s medicine cabinets all over the world. But does it withstand the test of time? Men who use a double edge safety razor may find that the performance of Barbasol to be quite a bit lacking. Given that this is a foam that is highly aerated, the Barbasol shave cream just doesn’t deliver enough moisture for some men to get a comfortable and close shave should they be using a safety razor. However, for the men out there that use a cartridge or disposable razor, the thickness of the Barbasol foam, even if it is a bit dryer compared to the traditional soaps and creams, still does do a great job at providing effective results. Containing only a fraction of the ingredients (8 total), compared to most other shave creams Barbasol is a value cream without all the extra bells and whistles. Don’t expect to find chamomile extract, colloidal oatmeal, vitamin e, or any other moisturizing or nourishing ingredients. But the chemically derived fragrance sure does smell good! Who should buy this shave cream? Men on a budget. Typically costing under a couple of bucks, it provides an acceptable foam for the price. Unlike the classic Barbasol of yesteryear, they have improved upon the design to make it rust-proof. What does Barbasol smell like? Classic barbershop scent (i.e. Sandalwood). If you are a man on a restricted budget then Barbasol can work. While not rich in the moisturizer category, it’s a work horse shave cream that can help get the job done. Like the Aveeno Therapeutic Shave Gel we reviewed, this offering by Nivea Men focuses on serving men who have severely sensitive skin. However, unlike the colloidal oatmeal that was used in Aveeno’s shave cream, Nivea Men uses a completely different set of ingredients to produce great (and highly effective) results. The key standouts of this shave gel will undoubtedly be the chamomile, vitamin E (tocopheryl acetate), and witch hazel. Also, earning the top rank of best overall aftershave balm, it’s clear to see that Nivea Men knows a thing or two when it comes to shave comfort. First off, the chamomile found within the gel is a terrific anti-inflammatory ingredient. Men with sensitive skin or even acne won’t exhibit that familiar burning sensation when using this shave cream. Secondly, chamomile also doubles as a natural anti-fungal ingredient as well. Therefore, if you have any residual bacterial resting on your face once you are done shaving, the chamomile coupled with the witch hazel will ensure that there will be complete comfort. Speaking of witch hazel, a common ingredient in quality aftershave balms, displays key astringent properties. While your pores don’t open and close (a common myth), the astringent property will provide relief from general skin irritation by constricting the blood vessels. Again, it’s through this use of key ingredients on why so many men with sensitive skin love Nivea Men. It simply guarantees a much more comfortable shave. When it comes to consistency and performance of the Nivea men shave gel is a bit misleading given the blue gel on the front label. Instead the gel is more at a consistency of Aveeno’s and is more of an off-white in color. But what really makes this shave gel unique from others is that when you being to rub it into a lather, it takes on a ‘wetter’ consistency. This will make it adhere to your skin easily (which is great if you are shaving in the shower), but will also ensure that the shaving cream stays on so you ultimately get a much closer and comfortable shave. Adding all of this up, Nivea Men walks away with being the best overall shave cream for men with sensitive skin. It’s perfect marriage of ingredients and form will ensure total comfort every time the blade touches your skin. Is the Nivea can rust-proof? Yes. 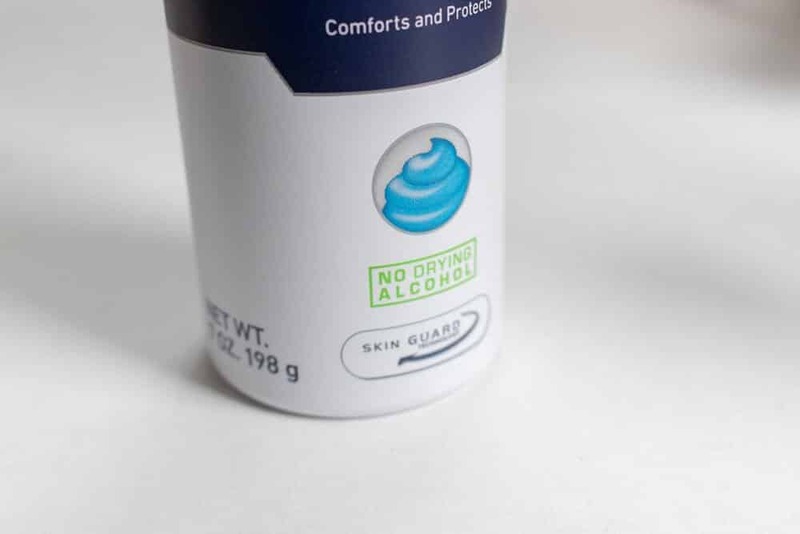 Like the Aveeno Therapeutic shave gel, Nivea’s can has a rounded-off bottom with no creases. This will prevent water from beading up would otherwise form rust. Is this shave cream fragrance-free? No. There is the inclusion of fragrance in the can (last ingredient). The scent is more of a ‘classic’ sandalwood barbershop scent. Where is the shave cream made? The can we reviewed was made in Thailand. Nivea is a German based company. Who would you recommend this shaving cream for? Men with sensitive skin. In particular, those who deal with acne, prone to razor bumps, and men who have severe skin irritation after shaving. One of the best shaving creams for sensitive skin, Nivea does it again when it comes to the shave comfort. Developed in Florence, Italy in 1908, Proraso is a traditional shave cream that has been serving men for over a century. In this review we are concentrating on their most popular label, general use. Best suited for men who shave through traditional means (straight or safety razor), Proraso shave creams rely on a traditional shaving brush in order to whip up a rich and luxurious lather. But when you peel apart the nuances and history of this shave cream, performance will be the most important feature to consider. Like most traditional shave creams, the Proraso general use shave cream not only will provide you will an incredibly comfortable shave (assuming you whip up the perfect lather), but it will also provide ample cushion for the razor to glide along. Now technically there is nothing stopping you from using this with a cartridge or disposable razor, however, you will truly see the benefits of this shave cream when using a double edge safety razor or straight razor. If there is one suspect ingredient that does stand out on the list of their ingredients it’s the inclusion of parfum (fragrance). As stated over on the EWG website, the term “Fragrance” on the side of skin and beauty products can actually contain over 3,100 different types of chemicals. Touching on scents a bit more, when you first squeeze this shaving cream out of the tube and begin to generate your lather, one of the first things you will notice is the smell of menthol. The addition of menthol to this product will deliver what seems like a strong scent at first, however, during our testing we found it to dissipate after an hour or so. Therefore, if you regularly wear a cologne, you shouldn’t have any clashing of fragrances when using this shaving cream. Italy. Company is based in Fiesole, Italy (just outside of Florence). Can this shave cream be shared between men and women? Yes. Menthol is a fairly gender neutral scent. Can you use this without a shave brush? Not really. Results won’t be nearly as good, also will lead to excess waste. It’s a great and affordable shave cream perfect for men who shave with either safety or straight razor. The wide lineup of offerings will allow any man to find their perfect shave cream variant. The defacto standard when it comes to shaving creams, Taylor of Old Bond Street is typically the go to shaving cream for many men taking their first step into the wet shaving realm, and with good reason. With its near lotion-like consistency yet impressive ability to whip up a luxurious lather, Taylor of Old Bond Street simply sets the standard when it comes to high quality shaving creams. 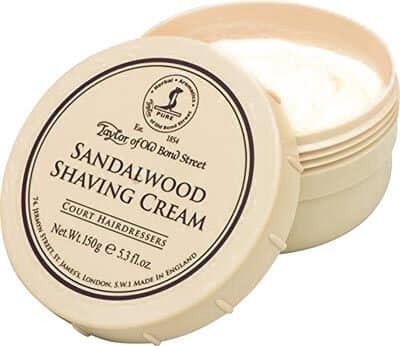 Established back in 1854 in the fashionable section of West End London by Jeremiah Taylor, Taylor of Old Bond Street was your grandfathers shaving cream. To some, sandalwood is a “manly” scent giving a very earthy tone close to cedar with perhaps a light after note of vanilla. Scents aside, the performance of this shaving cream will leave a trademark lather that is extremely rich without feeling too airy. When applied to your face you should have an ample cushion that will deliver a comfortable shave that will leave your skin feeling well moisturized and extremely smooth. The smoothness of your skin is amplified in this shaving cream due to the addition of glycerin in the ingredients. Glycerin, is a simple sugar alcohol compound that is a humectant (provide moisture) that is primarily used for folks with dryer skin or skin that is easily irritated and found in many luxury shaving creams. One of the required products for this shaving cream will be a shaving brush. While there might be some men who try to scoop out about a dime sized amount and rub it in their hands to create a lather, this simply won’t deliver the high performance that you are expecting and will deliver relatively flat results. While the price point of this shaving cream may seem a bit on the higher side at $15, the long-term value is well worth it. With some men reporting that they were able to make a bowl last for nearly 6 months, you won’t be left feeling like you wasted your money on this shaving cream. While this shaving cream can be used on cartridge and wet electric shavers, it’s really reserved for the double edge safety razors and straight edge razors. Where is Taylor of Old Bond Street made? Do you need a separate bowl or mug when using this shave cream? Yes. Unlike shave soaps that can be lathered in the same bowl, given the softer consistency, you will need to use a mug with this shave cream. Is the fragrance light or heavy? It comes across as strong at first but quickly subsides. Is this only for safety razors? 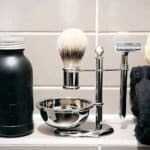 It can be used with any razor, however, men who rely on cartridge razors may not like the additional work in the morning of prepping a shave cream. A well-rounded shave cream that serves its purpose extraordinarily well. We previously awarded this shave cream best overall, however, we now recommend this to men using straight or double edge safety razors. The prep required to use this shave cream may be a turn off to some who shave regularly with a cartridge, disposable, or electric razor. While still relatively a newcomer (founded in 1996) to the wet shaving field, Art of Shaving is quickly making inroads through the world of luxury shaving. Acquired by Procter & Gamble (who also owns Gillette) in 2009, Art of Shaving is likely one of the most familiar names on this list. While many wet shaving fanatics may give a lot of flak to Gillette, P&G’s Art of Shaving brand is an entirely different beast. If there is one common complaint about the Art of Shaving products that many wet shavers share, it’s going to be the costs of their products. Weighing in at a hefty price tag of $23, its double the price of the Proraso Shaving Cream and substantially higher than the price of Taylor of Old Bond Street’s flagship Sandalwood shaving cream ($15) for about the same amount of volume. However, on the flipside to the price of this shaving cream is that it’s one of the most easily accessible products you can obtain within the USA. Unlike the other brands mentioned earlier, Art of Shaving has impressive clout when it comes to availability. With currently over 70 stores across the country, you may be able to find one within driving distance (usually located at larger malls). If you aren’t familiar with Oud, it’s a natural ingredient that smells very woodsy and gives off an old familiar scent. Another key point of consideration on this product is that its dubbed as being both a brushless and shave brush capable shaving cream. Given all of the great exfoliation benefits that are realized when using a shaving brush, we would only recommend that you use this product with a proper badger hair brush for maximum performance. Like most traditional shaving creams, with this cream a little will go a very long way. Although this shaving cream is priced considerably higher than similar products in this arena, it should last you several months – even if you shave daily. Which brings us to the next point, performance. From the initial loading to the peaks that you experience when testing out the lather on this shaving cream, it does perform just as well when compared to the other heavyweights in this industry. Most importantly the glycerin contained within this product will help provide a slick lubricant that will help retain the moisture in your skin when you go to make the appropriate passes with your razor of choice. In addition to the lubrication, the cushion of this product when lathered properly is what you come to expect when using luxury shaving cream products and doesn’t fall short. This shaving cream can be used with cartridge, double edge safety razors, and straight edge razors. Both the cushion and the lubrication provided by this cream will allow for repeatedly comfortable shaves even if you do multiple passes in one shaving session. Yes, especially if you convert to traditional wet shaving. Where is this shaving cream made? USA. P&G is based in Cincinnati, OH. Given the luxury association with this brand, any man should be happy to get their hands on this shave cream. Art of Shaving provides a terrific shaving cream. However, the price commanded for it can be a bit too much for some men to swallow. But don’t be deterred by the price alone as a single tub can outlast several cans of shave gel or foam. V76 by Vaughn is quickly making their name known in the men’s grooming circle by delivering top-notch products. Developed by Vaughn Acord, famed men’s grooming expert that has served the likes of Tom Brady, Ashton Kutcher, and Bruce Springsteen to name a few, it’s safe to say that V76 by Vaughn knows a thing or two when it comes to styling. Formulated to not rely on parabens, sulfates, mineral oil or petroleum, all V76 products are going to be vegan/vegetarian (i.e. not relying on tallow), and are manufactured in a cruelty-free manner. So, what makes this shave gel special and worthy of the elevated price tag? First off, the reliance on some great ingredients. When flipping over the muted-green can you will find inclusion of rich moisturizers like aloe vera leaf juice along with vitamin E to ensure that your skin not only stays smooth throughout the shave process, but remains smooth and well moisturized once you leave the house. Given that this is classified as a shave gel, the consistency coming out of the can will be a bit gooey/slimy at first but will generate into a thicker lather that will coat your skin and whiskers perfectly. 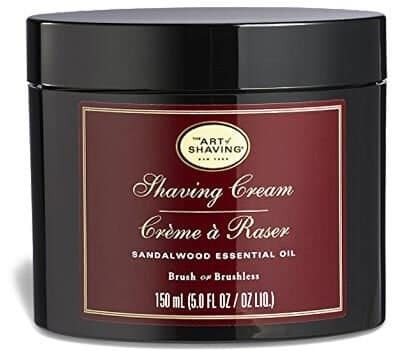 This thick consistency makes it perfect for not only cartridge razors, but even some men who use safety razors daily loved this shave cream as well. Like their beard oil, the scent in this shave gel is downright amazing. Unlike so many that heavily depend on that classic barbershop scent, V76’s shave gel is more akin to refreshing and crisp scent. It’s a luxury shave cream that feels and smells like one as well. Is a shave brush required to use this shave gel? No. Using your hands will be enough to generate a lather. Could you use this with a safety razor? While most gels are made for cartridge or disposable razor use, the moisture that V76 delivers in this cream will make it also work incredibly well with safety razors. Where is the shave gel made? USA. V76 is based out of Miami, Fl. Marketed as a ‘Professional’ shave cream and used by celebrities, V76 has a top-notch cream that equally has a top-notch price tag. If you are looking to splurge and shave just like the pros, then you will want to check this one out.